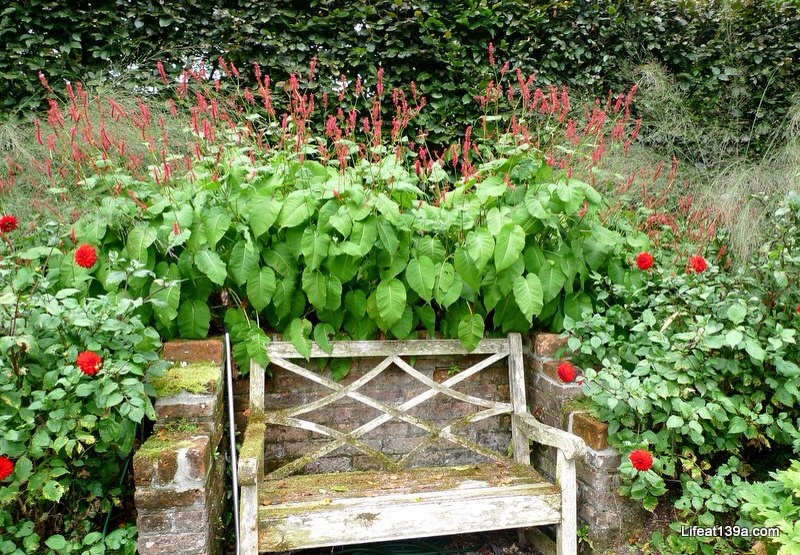 We visited this small, but gorgeous two acre Cornish garden during our week in Cornwall in September. I'd seen it much earlier in the year on Gardeners World and had added it to one of my many lists for when we ended up in Cornwall, and luckily that turned out to be sooner than I thought. Bosvigo is well known for it's hellebores, but by the time we arrived so late in the year the small nursery had already sold out. It was definitely a low key arrival (apart from the departure of the two other cars already parked in the gravelled drive) and was just like turning up at a friend's house, albeit a very grand friend's house! We made our way over to the porch to discover a small table, some leaflets, an honesty box and a hand bell in case we needed assistance. At this point I think we both knew we were going to like this garden! So before we head towards the garden, Bosvigo means the House of Vigo and there's been a dwelling on this site since the 12th century although none of the original building remains today. Wendy, whose garden it is has lived there since 1969 and yearned for a summer garden, filled with rare and unusual plants, a balance between the formal and the informal, with a series of distinct gardens. Judge for yourself, but I think she's achieved this and has created a remarkable garden at the same time. We started with the Hot Garden - a firework display timed to explode into life in August with oranges, reds, yellows set against dark foliage. And as luck would have it, it still had some fizz. And views that framed the house beautifully. As we moved towards the woodland garden the plants changed - lush green leaves and colchiums (think of pale and delicate) crocuses for autumn. Beautifully delicate, an Astrantia not a hardy geranium - thanks @pknewhaven! This led to the Vean Courtyard and Garden which belongs to a smaller property, Bosvigo Vean attached to the main house and is Cornish for "Little Bosvigo House" - the garden has a colour scheme of white, blue and gold. 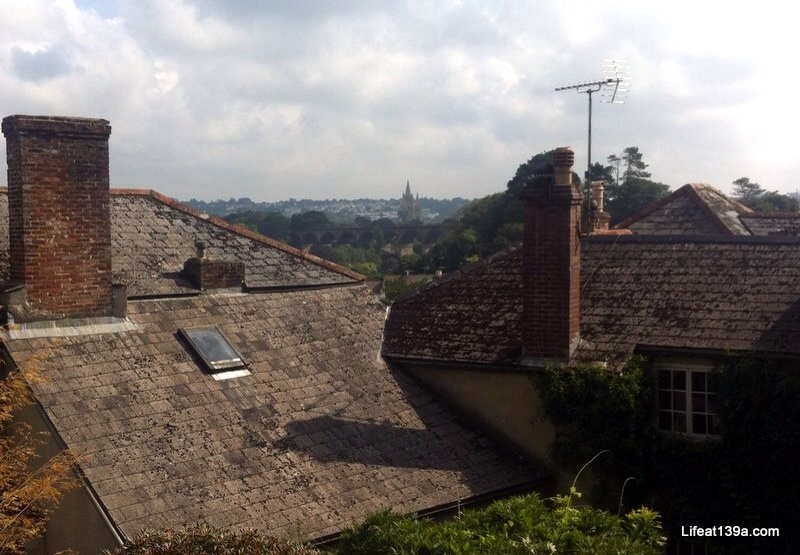 There are stunning views over the rooftops towards Truro too. And to the topiary and wood store close to the house. 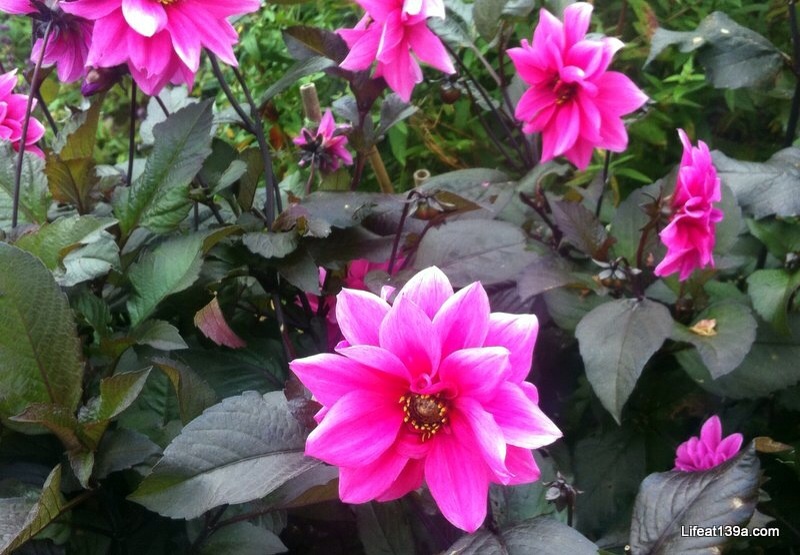 Next we moved into the Walled Garden where the colour scheme changed again and there were the most gorgeous coloured dahlias. What a view to have from your window. From here we were enticed into the conservatory, which we'd spotted as we approached the house. Again there were more chairs, unusually a water feature but also a poignant note saying that this garden was dedicated to the memory of Wendy's daughter Hannah who tragically lost her life in the Boxing Day Tsunami 2004, aged 36. 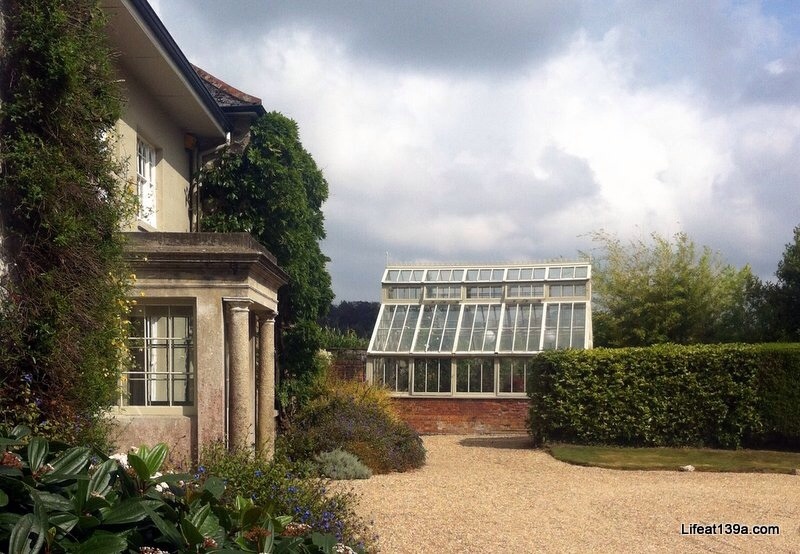 The conservatory was a beautiful and no doubt treasured part of the garden and we felt privileged to be able to see it and the rest of the garden. If you're ever in Cornwall and this garden is open, be sure to pay it a visit.